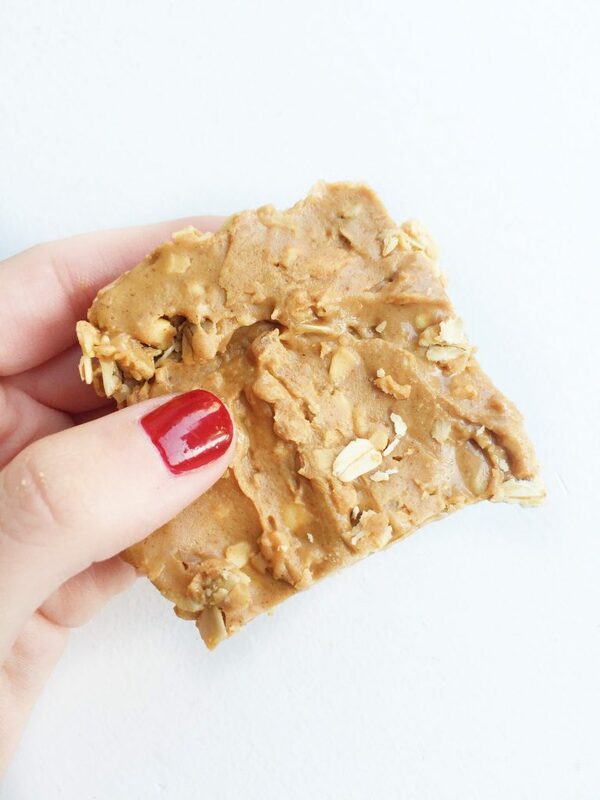 No Bake Peanut Butter Oat Bars made with just THREE ingredients and no oven necessary. Yup it actually doesn’t get any easier than this. 3 ingredients AND no oven necessary. I’m not sure why it took me so long to combine 3 amazing ingredients and make an unbeatable crunchy yet creamy snack for us. 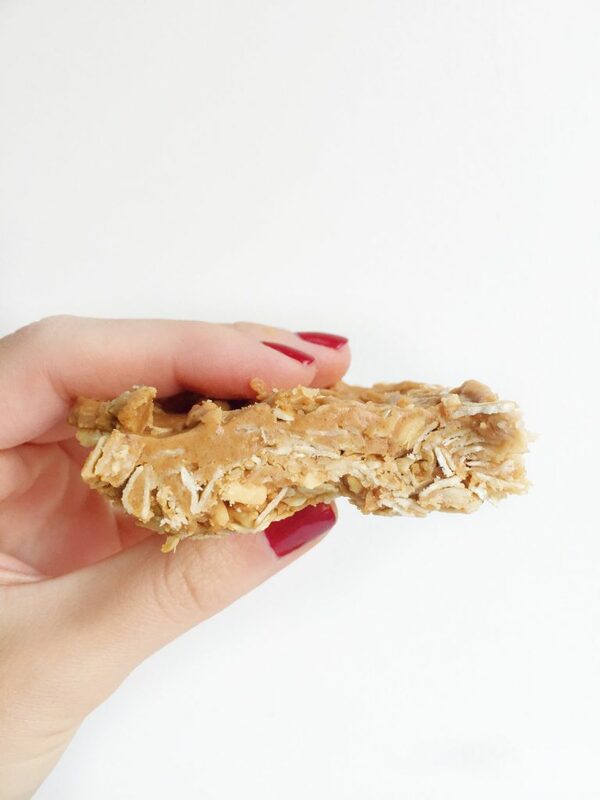 These No Bake Peanut Butter Oatmeal Bars remind me of a rice krispie treat (ugh my favorite ever!) and a peanut butter cookie all in one. They are rich, nutritious, EASY, gluten free & vegan friendly and require little to no cooking experience or knowledge since there is NO cooking involved. Hip hip hooray! 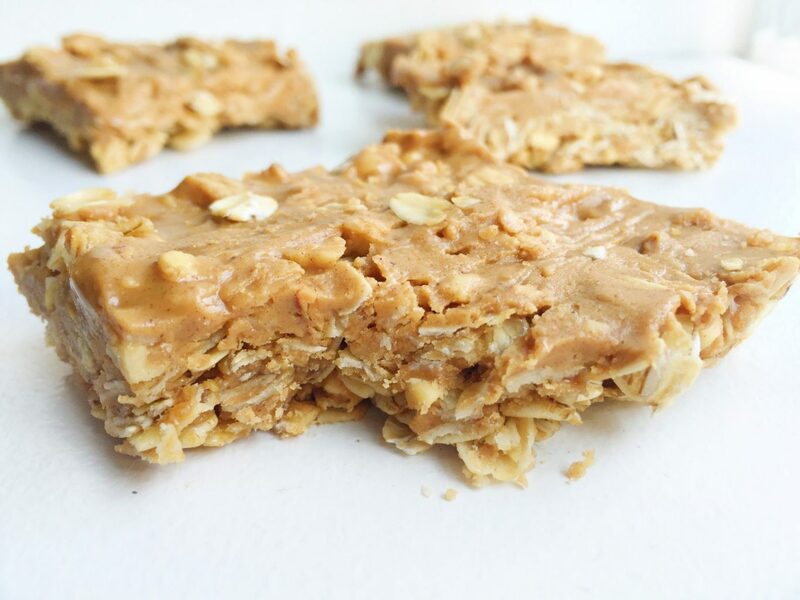 When I ate one of these No Bake Peanut Butter Oatmeal Bars it took me back to my childhood for some reason. I think these are a kid-friendly snack (a new term on this blog) and can be enjoyed by pretty much anyone who loves peanut butter. I used chunky peanut butter, old fashioned oatmeal and raw honey. You can use maple syrup or agave as well if honey isn’t your thing. You can even sub a different nut butter as well but I think peanut butter works best for this recipe. Stir so it is smooth and more like a "sauce"
DO IT!!! they SO easy to make! I just made these using crunchy peanut butter, both rolled and steel cut oats, coconut and added 2 tsps of organic vanilla. YUMMMMMMMMM! 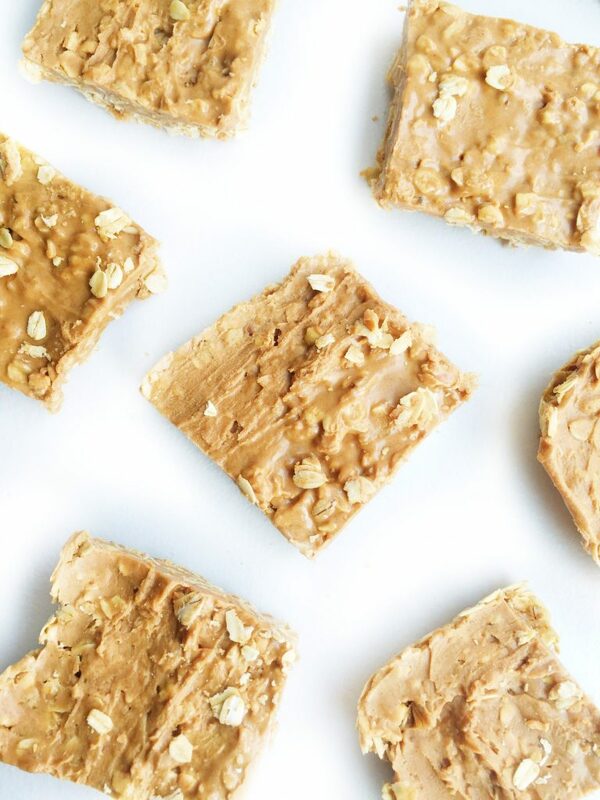 Ummmm easy to make + no bake + peanut butter means this recipe is a total winner in my book. Can’t wait to try! Hi Jody! Thank you so much. I don’t actually know the nutrition value, I’m sorry! I don’t pay too close attention to exact measurements of calories, etc. but these bars have complex carbs from the oats and protein & healthy fats from the PB plus the only sugar is from honey or maple syrup which is a huge plus. I haven’t tried adding dried fruit but it’s definitely worth a try. If you do, let me know! I think raisins would be yummy in them! I sent the recipe to my son Danny who is an RA at University of Miami; he is going to use the recipe for a floor activity; showing the kids how to make a healthy snack with loads of protein for studying….and only need your microwave and 3 ingredients. Yeah! Forgot to mention, he is adding chocolate chips….yum! I have made these several times and they are great. However, the last attempt, I changed it and added toasted oats, dates, raisins, and almonds. Delicious and more filling. I am about to reduce my Kind bar purchases significantly.